We finally closed on the new house! 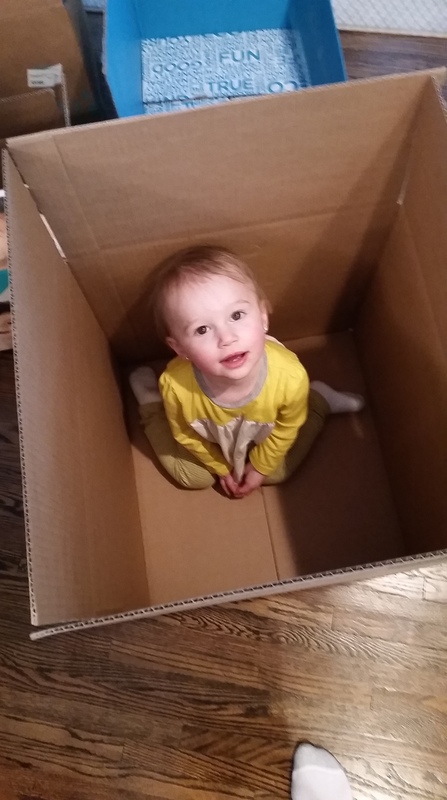 Moving is NOT fun, and its even worse with a toddler in tow. Every time I packed stuff into boxes there would be Ada two steps behind me unpacking boxes! We had the worst time trying to get a closing date on the old house and the new house to line up, which made it impossible to schedule movers. We had to be out of our old house by Monday and we couldn’t get into the new house until Monday, despite no one living in our new house for the past two years. We tried to get access to the garage so we could start moving stuff in, but they said no. It was complete hell trying to get this coordinated, but we finally decided on just renting a large moving truck and doing it all our self. We had a crew of friends and family come over on Saturday to help us load the truck up, then there it sat until Monday, when we finally went to city hall to sign our life away. We then flew back to old house before the new people got there and drove our enormous truck over to the new place, where we had another crew of friends and family over to help us unload the truck at 5pm until like 10:30 at night. Exhausting! Ada slept at my parents that night so we didn’t shock her with a new life she didn’t know she was walking into! The past few days have been very hectic and disorganized. Our kitchen is being renovated right away, so we aren’t unpacking anything, which is making feeding the family really tough. 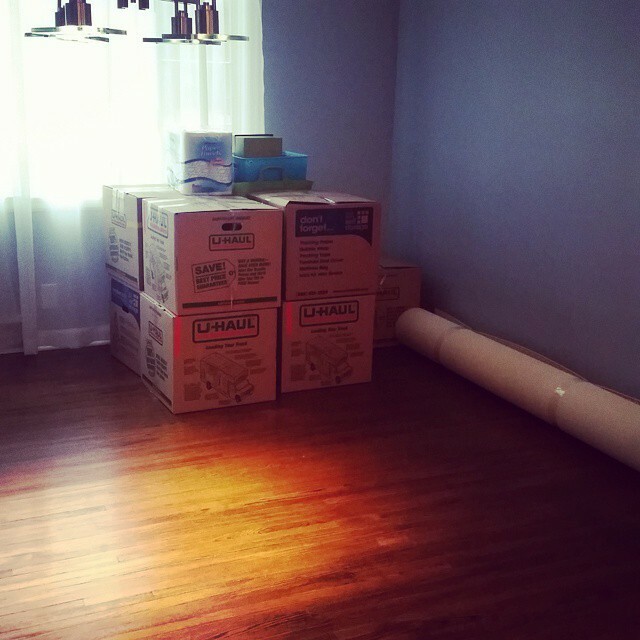 Its also leaving tons of boxes stacked in every corner of our already small house making it feel so cramped. Nothing is child proofed, which is really the worst part. I used to be able to leave her unattended for a few minutes and feel okay she wouldn’t destroy something or kill herself and now its like a free for all playground for her, with stuff she shouldn’t have at her fingertips and oh what fun she is having exploring it all! As far as renos go, we are gutting the kitchen and tearing a wall down in between the kitchen and living room so it feels more open. We also have to replace some flooring and the toilet upstairs and Dan wants crown molding in the living room, so that’s what’s on the agenda first. Phase two hopefully will be the exterior, with new siding (we have the worst mint green color), new landscaping, since the bushes are going to eat this house alive in the summer, a new front door and hopefully a new patio out back since that is going to be the one thing I miss more than anything this summer! All in good time, for now I just want to get life put back together a little inside! Always do what’s best for you! January and February have been pretty uneventful lately, we haven’t been up to much. Oh, we sold our house! Yes, we sold our dream house, but we are excited to be moving on to a new adventure. We have many reasons for why we did it, but mainly it’s for the financial freedom. So many people stay in situations where they can’t ever get their heads above water and we just didn’t want to ever find ourselves in that boat, so we made some tough decisions and took the first step. We took advantage of a hot market in our neighborhood and sold the house for more than we paid, including all the upgrades we did. We will miss this house for sure, but I always promise myself never to look back and regret any decisions made. You do what you need to do at that moment in time and just trust yourself! We close on the new house at the end of March. We’re really looking forward to the location of our new place. We have two families that we are really close with that live walking distance to our new home. We all had our first baby the same year, and we’re excited to live so close and let the kids grow up together. While I don’t think this new house will be our forever house, I think it will be super fun to have our friends right down the street, especially while the kids are so young. I don’t think Dan and I will ever have a forever house! 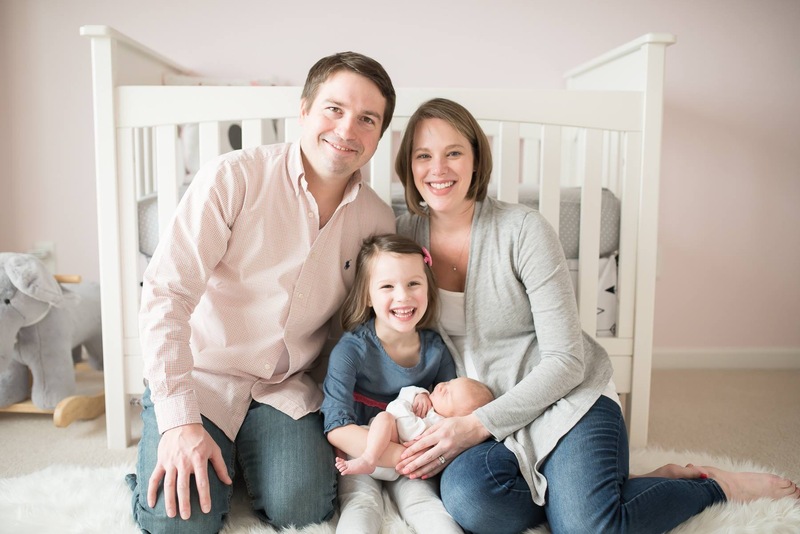 I think we are content with change and how life is forever changing, and we are open to accepting that and always doing what is best for our family! Here are a few pictures of the new house, as is from the real estate listing! Its pretty terrible I’m warning you! We have a lot of work to do to make it our own, but we’re up to the challenge and have some big plans once we’re in!